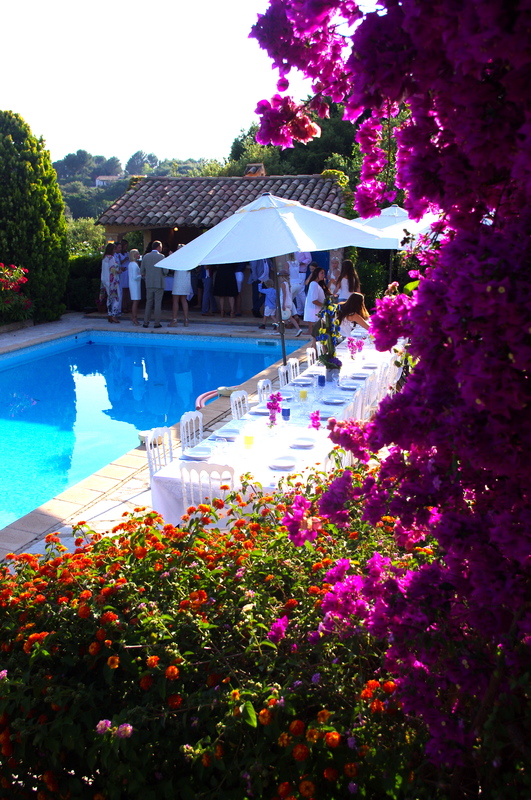 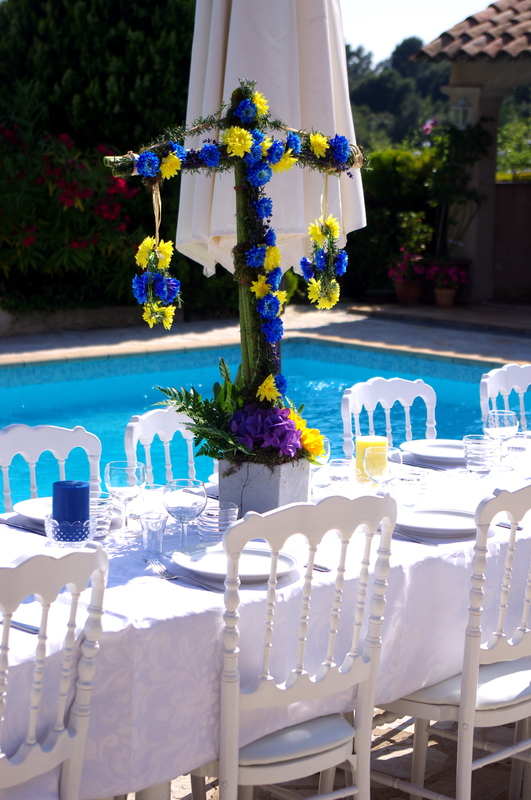 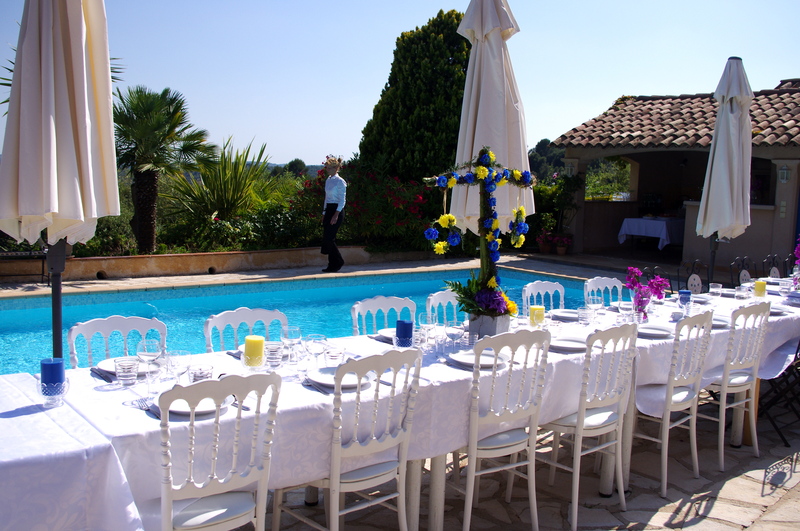 A few weeks back we did a Swedish midsummer party for some clients in their beautiful Provençale villa. 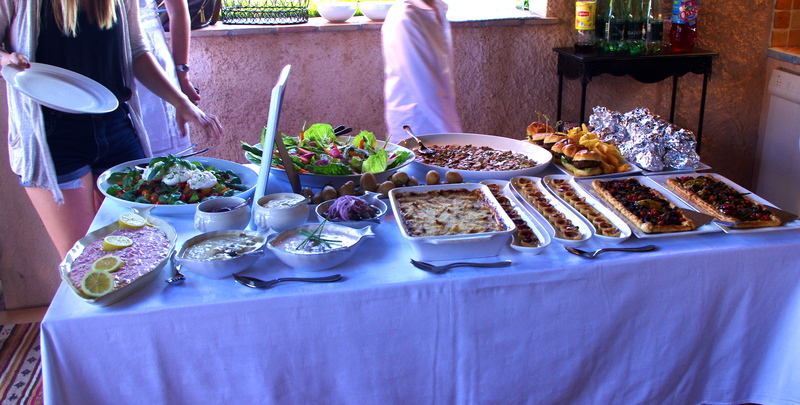 We set up the buffet at their pool house where they had typical Swedish midsummer dishes like herring with dill steamed baby potatoes, mini tartes with “Västerbotten” cheese and butter tossed chanterelles, “Jansons Frestelse”, smoked salmon and chive salad as well as a more Mediterranean style buffet with; asparagus and truffle risotto, honey, balsamic and chili double marinated fillet mignon, Provençale tarte with chèvre and char grilled vegetables, salmon parcels with chili butter, burrata with tomato salad and baby vegetable salad with chive dressing. 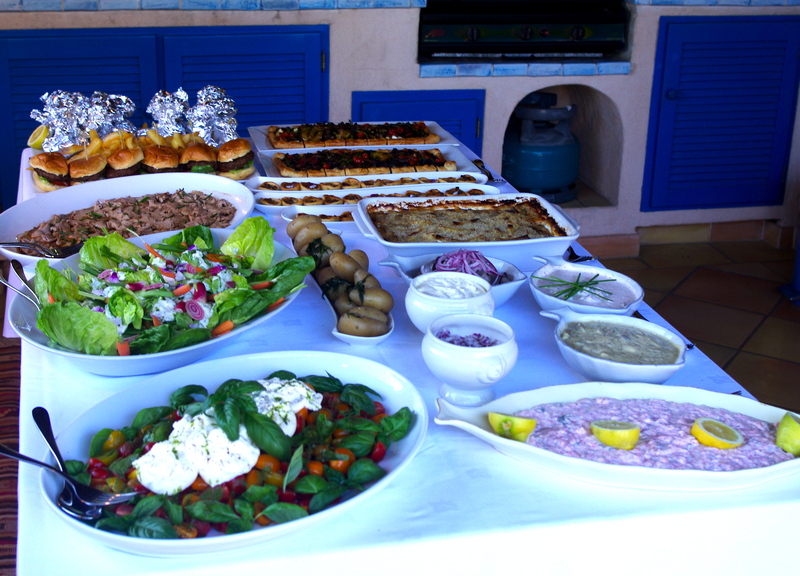 And for the kids; homemade mini burgers with steak fries which was a huge success even amongst the adults!